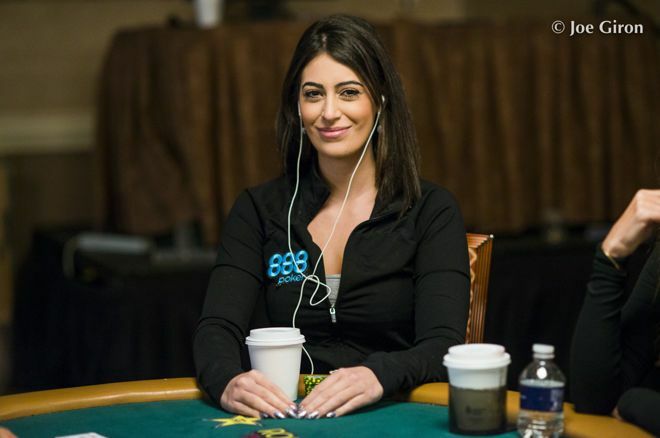 Ups & downs: @888poker Ambassador Vivian Saliba offers help dealing with variance in pot-limit Omaha. PLO features a lot of variance. Dealing with it is a big part of being successful, says @visaliba. Today's topic is the biggest nightmare of poker players all over the world — variance. Variance refers to the upswings and downswings of your bankroll. Variance doesn't necessarily measure how good of a poker player you are, but rather measures how high and low those swings are, which can be caused by a number of different factors. Pot-limit Omaha is a game that involves a lot of variance. Regardless how good you play, the variance of the game means most PLO players will face the prospect of losing 50-100 stacks during their career — and more than once. The good news is that if you do the right things and put in a sufficient amount of volume, you can still reach your expected profit and overcome the variance of the game, making it "no longer exist" or at least no longer have such a dramatic effect on your bottom line. First of all, the best way possible to endure those periods of downswings in PLO is to make certain you are playing according to the principles of sound bankroll management. No one who is on the verge of going broke is going to play their most optimal game or consistently make smart decisions. Make sure your poker bankroll is sufficient to play the stakes you are playing. Also, remember that the bankroll you use for poker should be separate from the savings you use for other non-poker "life costs." Another essential factor to help you deal with variance in PLO is having a good mindset and being mentally prepared for those swings, both the good ones and the bad ones. I've seen players get extremely defeated and pessimistic during their unlucky periods, so much so that it affects their games and causes the downswings to continue longer than they might otherwise. You must keep in mind that the best hand does not always win, and that the best play does not always work. That's always going to be true in specific, individual hands. However over the longer term, the entirety of your (good) decisions will pay off and you will be a winning player. The best thing you can do is keep working on your game and keep grinding at your chosen stakes or even lower until you recover your confidence and reestablish a safe bankroll. Do not give into the temptation to play higher limits in an effort to recover what you lost during a period of one or few sessions — this is just not how things work. Running bad can last hundreds of thousands hands. So can running good, which means also always keeping in mind that a winning period shouldn't be taken for granted. Poker is a logical and mathematical game, and for that reason it is a game in which the best, most skillful players will make the most money over the long term. Don't lose your focus or your patience during a period when you seem to be on the "wrong side" of variance. The way players are able to deal with the swings of the game and handle the game's variance is one of the biggest differences between ordinary players (who struggle with variance) and great players (who manage it well). Keep it going and aim for the top.